1. 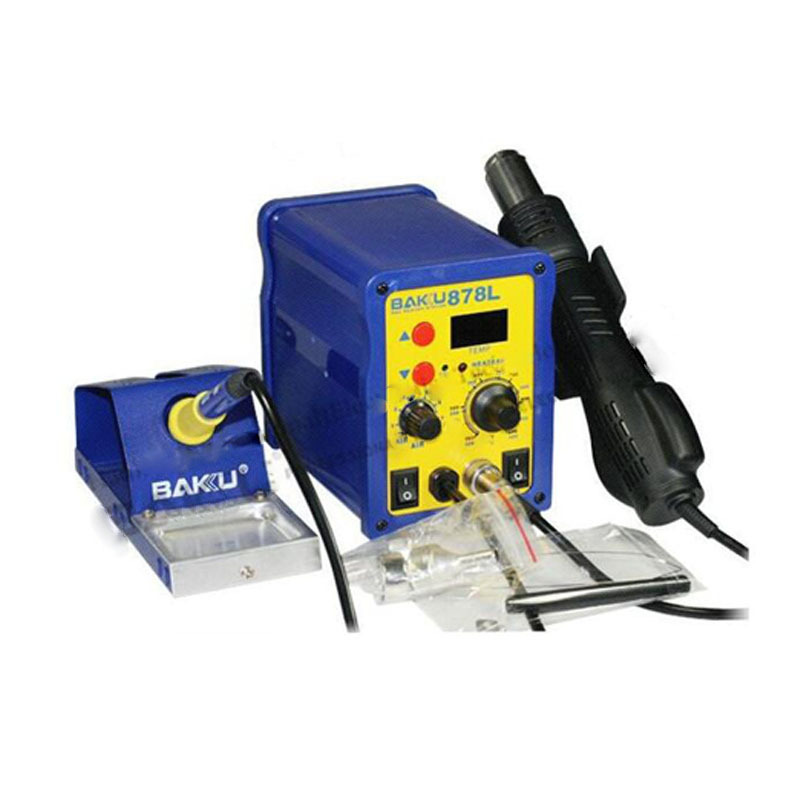 Based on the Company\'s revolutionary, innovative design and meeting existing demands of the communication market, this all-in-one machine uses the latest chip technology and integrates a DC power supply, hot air gun, and soldering station! 2. 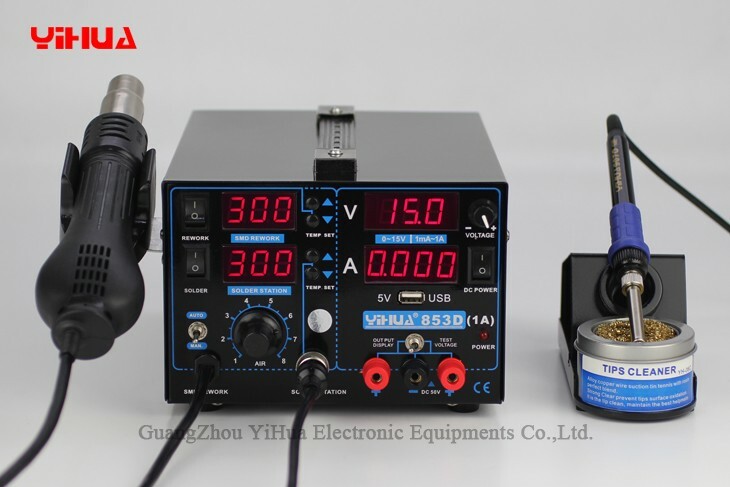 Temperature controls utilize core technology, adopting Samsung microprocessor-PID programming for high-speed 100ms real-time tracking of air gun outlet temperatures and soldering iron tip temperatures, with real-time calibration! Outlet temperatures are extremely stable. 7. 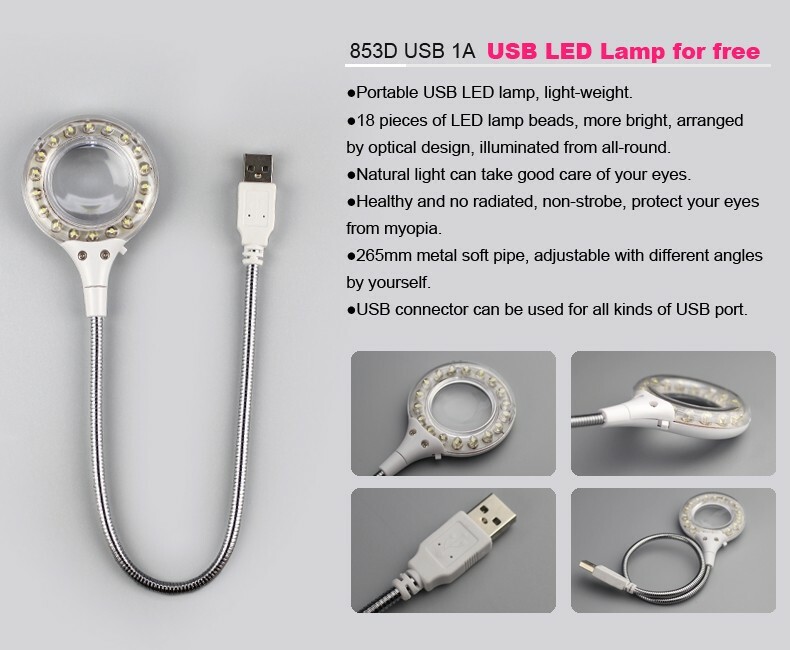 Suitable for a variety of component desoldering and soldering, such as: SOIC, CHIP, QFP, PLCC, BGA, SMD, etc. 8. Suitable for heat shrinking, drying, painting, adhesive removal, thawing, preheating, plastic welding, etc. 9. 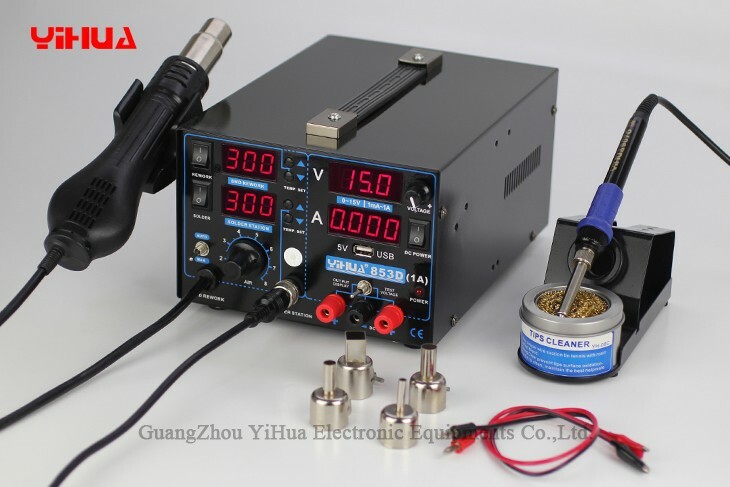 DC power supply suitable for scientific research, product development, laboratories, laptop maintenance, etc.